The Nintendo 64 was the system that introduced my brother and I to the frontier of 3D gaming. It was Christmas Eve in the Campoamor home. We had just come back from spending the holiday with family, and as was tradition in our house we were ready to open some gifts. We had all but finished when our mom asked us if we were ready for our last gift. She went into her closet and returned with one small box. She said that this gift was to be shared between my brother and I. We eat took one end of the box into our young hands holding it ever so gently so as not to damage the contents within. We were like Charlie and Grandpa Joe in the film Charlie and the Chocolate Factory just before opening the Wonka bar. After months of Nintendo commercials, and dozens of magazine articles, this was it. This was the moment we had been eagerly awaiting, this was the last few steps before the summit. My brother wiped the sweat from his brow and carefully began to tear back a corner of the wrapping. What happened next was a blur. I've been told that my brother and I fell into a frenzy. Like two ravenous dogs feasting on a fresh kill. When we fell back to reality we held in our hands Super Mario 64! At this moment we were pumped and filled with excitement that the next give would be the Nintendo 64. If I told you that our parents went back and brought that box out for us to open I would be lying to you. In fact it was the first time my brother and I learned about supply and demand. The rules of the world was at our door step that night and the flicker of childhood innocents in our eyes was replaced with a mile long stair of a spartan warrior. Over the next few months we spent a lot of time reading the instruction manual included in the games box. My brother would even take the cartridge outside and run around the yard with it as if he was in the Super Mario world jumping on goombas, and flying through the Mushroom Kingdom. Once the second shipment of consoles came in our parents took us to pick it up. I am reminded of how we handled the situation though. Given that we were pretty young and not getting a gift that you might really want can seem like the end of the world at that age. Our parents talked to us about what is valuable in life. How they work hard to provide a life for us that they didn't have growing up. That gifts are a kind gesture, that we should ever feel entitled to. The christmas we got a game without a console became a story we would tell often in the years to follow. Each year the tale would become even grander than the last. It always brought happy memories, and filled our home with laughter. Twenty years later the Nintendo 64. 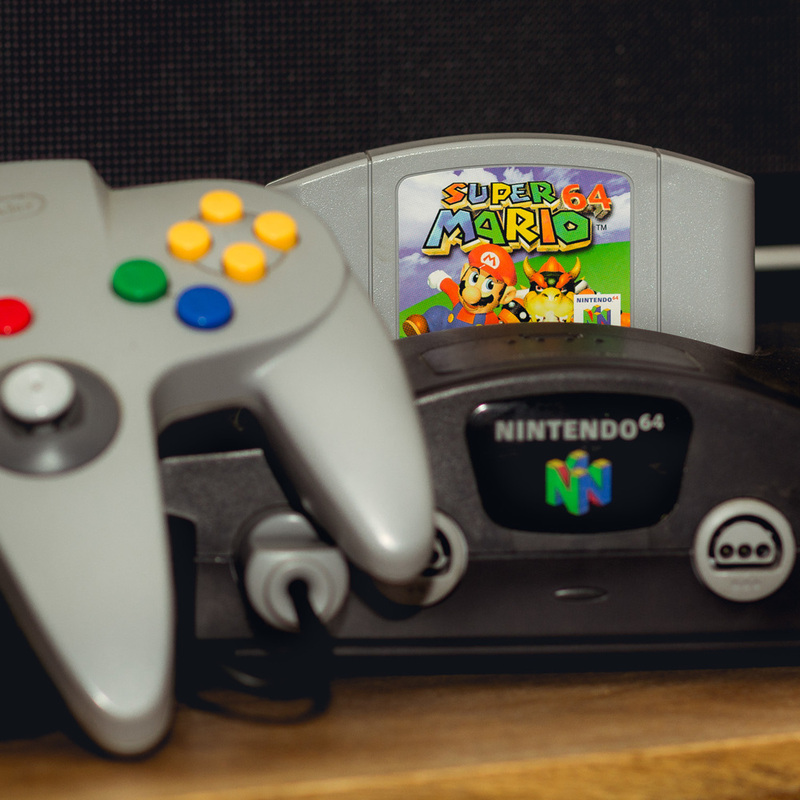 What memories do you have of the Nintendo 64? Let me know in the comment section below Also If you are new to the blog, welcome! Be sure to head over to Facebook and add my photography page. Also you can follow me on Instagram links located above.